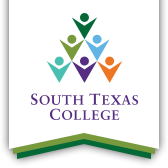 Texas Parks and Wildlife Department (TPWD) will award South Texas College (STC) the initial grant for the planning phase of a $4 million 12-lane target range that will serve as the foundation for a range included in the college’s Master Plan for the Regional Center for Public Safety Excellence (RCPSE). TPWD will hold a news conference with STC in Austin Nov. 29 at 10:30 a.m. announcing the first $307,219 award of a Phase I Planning Target Range Program Grant. The grant from TPWD will fund 75 percent of the cost of engineering, architectural fees and the environmental assessment, and the college will fund 25 percent ($102,000) to meet the match requirement. STC President Dr. Shirley A. Reed will join TPWD Executive Director Carter Smith and Texas Sen. Juan “Chuy” Hinojosa, D-McAllen, in Capitol Building Room 2E9 for the announcement. The timeline for the target range at STC RCPSE is set for completion by Feb. 28, 2021 and is slated to be developed in two phases. Phase I will involve the planning for the range, and Phase II will involve the construction of the facility. Total federal funding will amount to about $2.8 million and STC will provide $1.2 million to complete the project for a grand total of $4 million. The general public will benefit from the target range. The target range will be open to the public for firearms safety training, practice shooting, and skills development. In addition to the target range, the college will also provide related educational opportunities, including face-to-face hunter education courses offered by Texas Parks and Wildlife and led by certified Texas Hunter Education instructors. When: Nov. 29 at 10:30 a.m.